Dynamic Forge & Fittings (I) P. Limited is an approved manufacturer of copper pipe fittings such as “Curpo Nickel Fittings (Cu-Ni Fittings)" also known as Copper Nickel C70600 (90/10) and C71500 (70/30) fittings to requirements of BVIS, IBR, BARC, DNV, BHEL & we are ISO 9001:2008, 14001:2004, OHSAS 18001:2007 certified company. 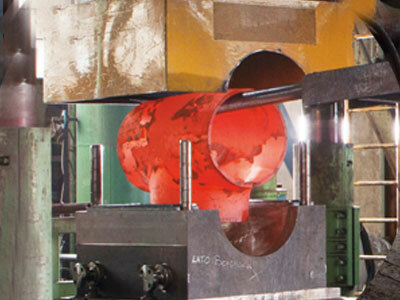 We are manufacturing buttweld seamless and welded duplex fittings, duplex flanges and Cupro/ Copper Nickel pipe bends in accordance with ANSI/ASME and DIN standards. 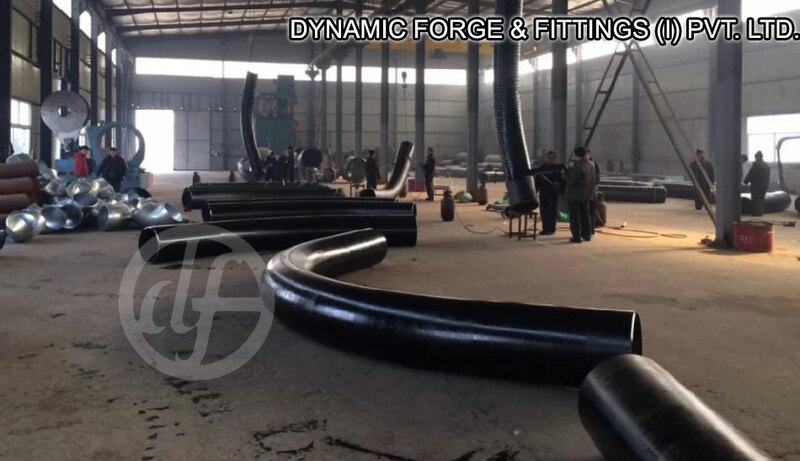 Dynamic Forge & Fittings (I) P. Limited is highly acclaimed manufacturer of the complete range of copper pipe fittings such as Cupro Nickel reducer, Cupro Nickel elbow, Cupro Nickel tee, Cupro Nickel cross, Cupro Nickel stub ends and Cupro Nickel pipe bends. A leading manufacturers in India known for Copper Nickel fittings, Copper Nickel buttweld fittings, Copper Nickel forged fittings, Copper Nickel olet fittings (sockolet, weldolet) and Copper Nickel forged flanges in all major US and European standards including ASTM B122, ASTM B171, ASTM B151, ASTM B466, ASTM B467, ANSI B16.5 (Flanges), ASME B16.9 (Buttweld Fittings), ASME B16.11 (Forged Fittings), EEMUA 146 (Buttweld Fittings), EEMUA 145 (Flanges), DIN 86090, DIN 86089, DIN 86088 and DIN 86087. 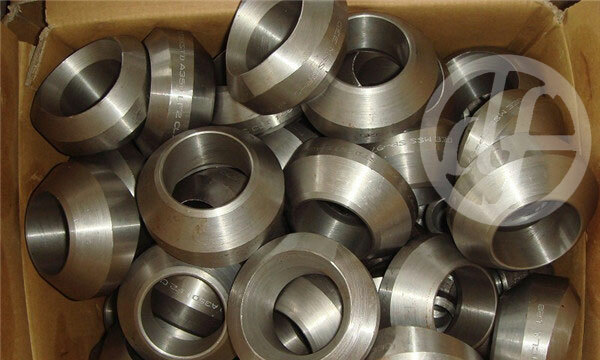 Dynamic Forge & Fittings (I) P. Limited specializes in manufacturing superior grade of steel like Duplex, Alloy Steel, Cupro/ Copper Nickel 201/202, 304/304L, 310S, 316/316L, 317L, 321/321H, 347/347H, 904L, A234 WPB, A420 WPL6, A234 WP11/WP5, Inconel, Monel, Hastelloy, cupro nickel, nickel alloys, Duplex, A403 WP304L/316L – as per ASME B16.9, ASME B16.28. These Cupro Nickel tube/pipe fittings have special quality finishing and duress for long life, high pressure and zero defects. We manufacture Cupro/ Copper Nickel tube/pipe fittings for end-users and ship worldwide. 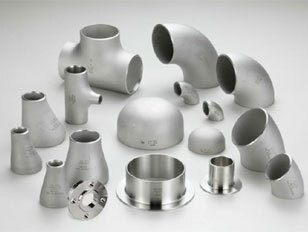 All steel pipe fittings are from ISO and PED approved mills- Raw Material Origin Indian MIlls & European Mills. Do you need your Cupro/ Copper Nickel pipe fittings shipped to you internationally? Not only do we ship all of our fittings & flanges globally, we will consolidate the order for you and ship it to the closest port near you. We have gained several Orders of Cupro Nickel pipe fittings from countries like US, Canada, Chile, Brazil, UK, Italy, Venezuela, Belgium, France, Portugal, South Africa, Nigeria, Mexico, Chine, China, United Arab Emirates (UAE), Peru, Bahrain, Saudi Arabia, Qatar, Kuwait, Jordan, Malaysia, Thailand (Bangkok), Singapore, Indonesia, Sudan, Kazakhstan, Australia, Israel, Kenya, Russia, Tunisia, Vietnam, Colombia, Iran, Iraq, Sri Lanka, etc. Supplying copper nickel fittings (CUNI fittings) in Saudi Arabia, Qatar, Kuwait and other countries in the GCC region. Should you like to send you next enquiry for Cupro Nickel pipe fittings to Dynamic Forge & Fittings (I) P. Limited, please send us an email. Range ½"NB to 24"NB in Sch 10s, 40s, 80s, 160s, XXS. Cupro/ Copper Nickel flanges can be manufactured and supplied in a variety of sizes and pressure ratings to meet project specific requirements of our customers. We are manufacturing duplex pipe fitting & flanges for industrial purpose like boiler manufacturing, brewing tanks and desalination plants. 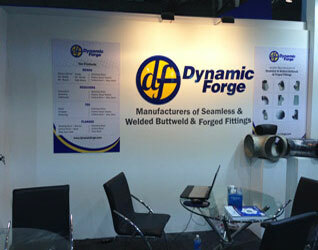 Dynamic Forge & Fittings (I) P. Limited offer its Products with Third Party Inspection also. The Inspection Agency can be nominated by clients or Dynamic Forge & Fittings can be arrange the TPI by World reputed Agencies like Bureau Veritas, DNV, LLOYDS, ICB and many other. Cupro/ Copper Nickel pipe fittings are visually examined for conformity to ASTM, ASME, MSS, DIN, EN, and JIS codes and standards. All our fittings are manufactured with tested raw materials and are supplied with NABL approved lab test reports. On demand, we can also provide, Hydro Testing Reports, Non Destructive Test Reports, or Destructive Test Reports. Dynamic Forge & Fittings (I) P. Limited emphasis on the packaging to ensure that there is no damage during transit the Cupro/ Copper Nickel pipe fittings & flanges are packed in wooden corrugated boxes foiled in bubble wraps & are marked with Grade, Lot No, Size, Degree and Dynamic Forge & Fittings Brand Mark. You can also contact us for customized marking.